I have found it difficult to journal every day in detail. There is so much going on! I am going to tie up the last for days in one post, and then have a daily update based on a template. The journey to St. Augustine was amazing. I passed through Ponte Vedra Beach and camped along the way. Many, many cyclists travelled A1A south. It was fun watching them in teams! 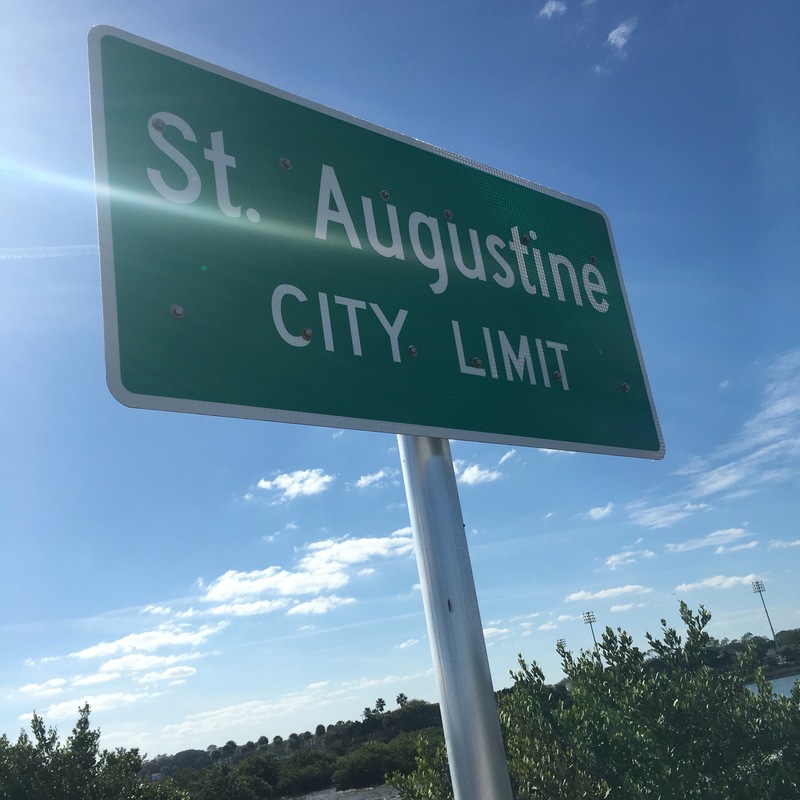 I arrived in St. Augustine on Sunday afternoon around 3pm. 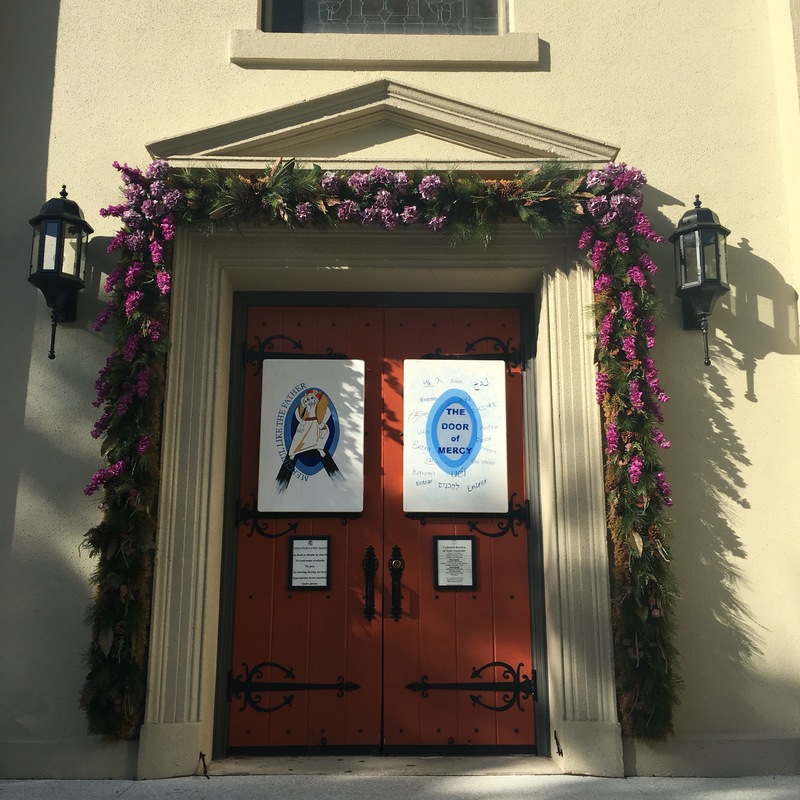 I passed through the Door of Mercy in prayer and attended Mass. I met some great people. 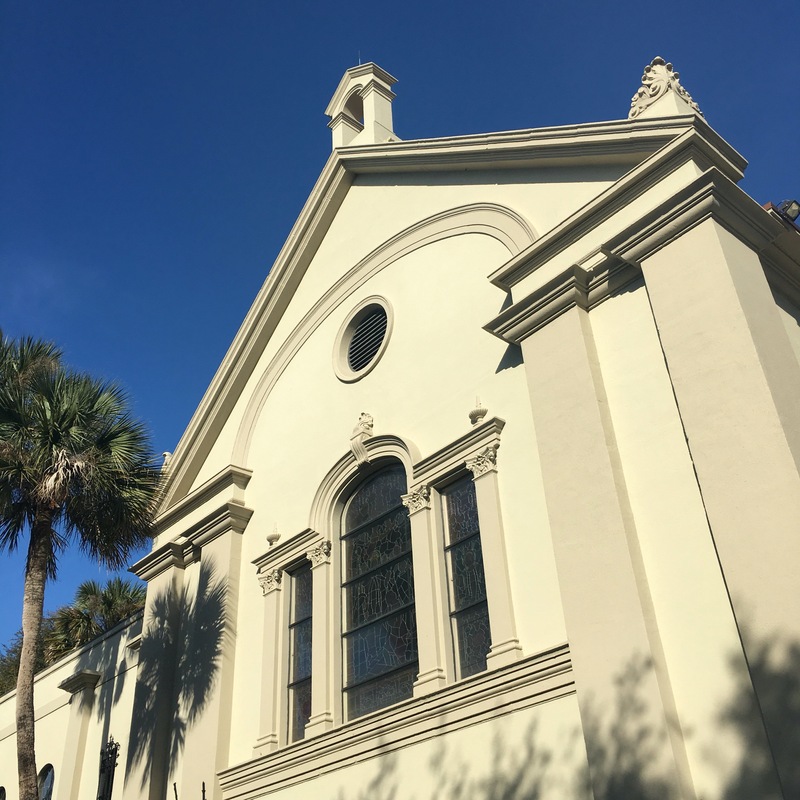 I stayed at the St. Francis house, a homeless shelter in St. Augustine on Sunday night. I met many people and made friends. Ryan, the staff member there was very good to me. He gave me lotion for my sunburn, a change of clothes, access to a hot shower, a cot for the night, and breakfast in the morning. Wow! On Monday I went to St. John’s public library to catch up on writing. It was difficult to cover the whole weekend by day. Two entries took two hours! 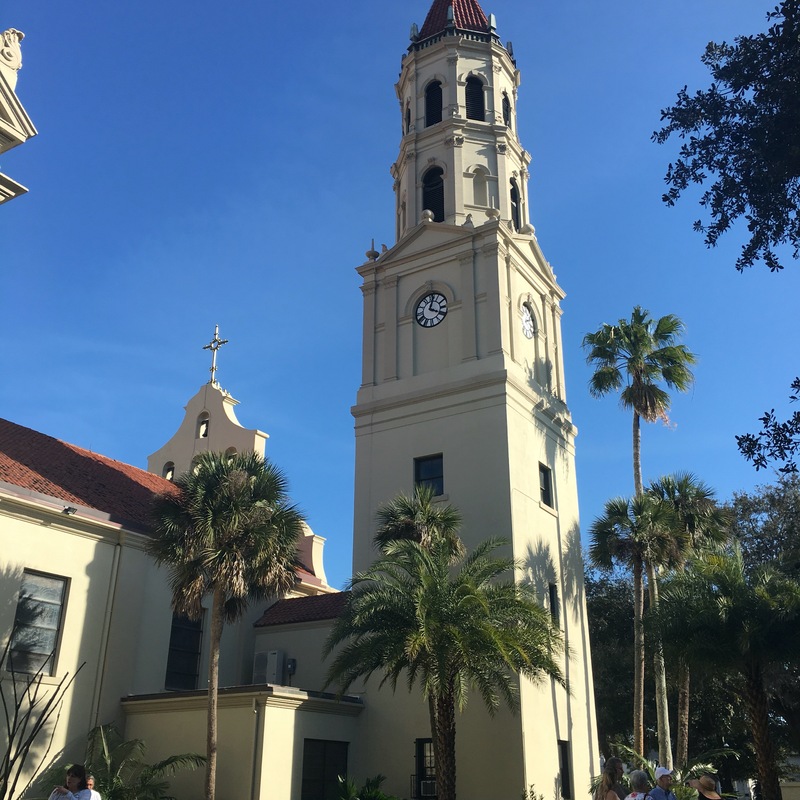 Doug, the man I met at Our Lady of the Sea sent me an email asking me if I made it to the Cathedral Basilica. We chatted, and he mentioned a community called Cenacolo in St. Augustine that he had a connection to. He asked me to look into it and if I was interested, he could set up a visit for me. Doug’s nephew Jason passed on Monday please pray for them! A few hours later, Dan and Kevin picked me up in a minivan just along route 16, northwest of St. Augustine. Two men very strong in their faith, it felt good being around them. They brought me to Cenacolo a place to stay for the night! The grounds were amazing, and the people were so warm and welcoming. Named Our Lady of Hope, Cenacolo is a community of men who live a life centered around the Eucharist. Wow! Kevin gave me a tour around the grounds on boardwalks to huts and houses throughout the grounds. It was really pretty. Wish I got photos, but there are no phones allowed. I met so many nice people. They fed me dinner, gave me access to a hot shower, and gave me a cot for the night. I also had the privilege of joining all the guys in prayer and adoration, powerful! The next morning Joseph put together a bag of food for me. Kevin from Alabama gave me a “night cap” for sleeping, something I was missing, haha. Jeremy gave me some pray cards and a copy of “Into the Wild”. “He dies at the end, but that is not why I am giving it to you.” We both laughed at that. We all promised to pray for one another. Dan dropped me off where he picked me up the day prior, and off I went. I am currently in Jacksonville Beach, Florida. I made it back from St. Augustine in 2 days. I camped out last night at a rest stop just south of the Guana River Wildlife Management Area in Ponte Vedra Beach, Florida. I met so many nice people along the way, and the mercy has been flowing both ways. Charlie Fry, Ellis Jones, Caesar, Amilia, Marie, Angela, Father Lawrence, Tracy, Alex, Chris, Bob, Dustin, Jackie Shy, Tracy (different Tracy), Terrell, Jeannie, Anne, Jane and Dave, Jeff, David, Kirsty, Rick, Laurie, John, Keith, Tinsai, TJ, Victor, Greg, and Judy. A lot of these people have given me money or food. Others I have given food, drink, money, and other items to. All of us shared a special moment of mercy in one way or another. Tomorrow marks Day One of the transcontinental aspect of my pilgrimage. Everywhere I have traveled in the past week has been east, south. 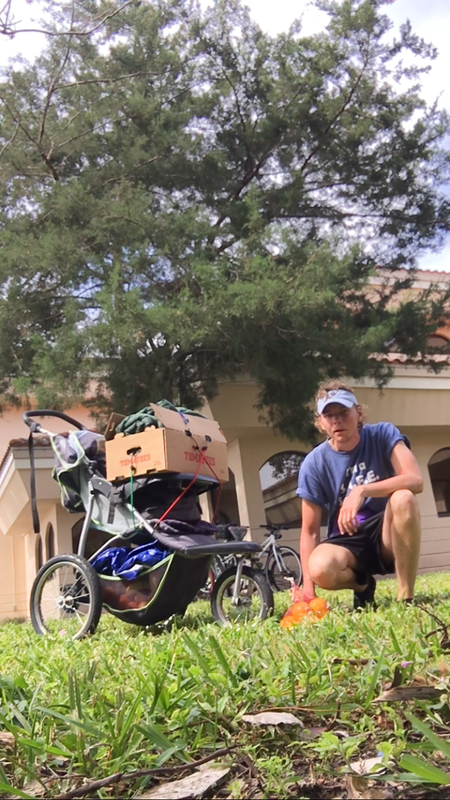 Tomorrow I am headed west, and I plan on running. I hope to incorporate everything I have learned so far into this journey. It has been challenging and is not easy. There are ups and downs, but I think I found the rhythm. PS. Lots of pictures on Instagram! Lots more to come!